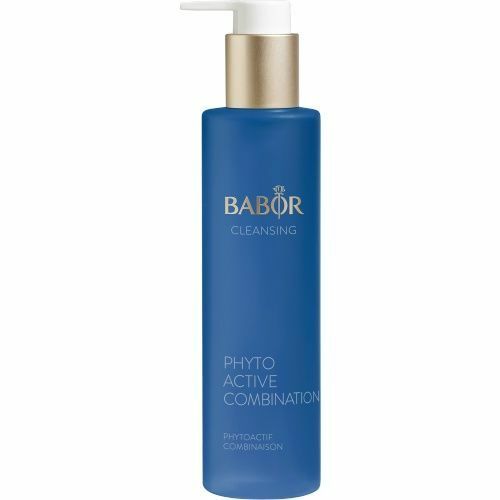 Home/BABOR/Babor Phytoactive Combination 3.38fl oz. The 2nd Step for cleansing with HY-OL. Made with herbal essences tailored to oily and combination skin types. Designed to refresh the skin and lend radiance. Agrimonia extract with natural antioxidants help to counteract negative environmental factors. An ideal skincare for oily & combination skin. Designed for use with BABOR HY-ÖL cleanser. Selected herbal essences help refine and balance the skin during cleansing. Apply 4 pumps of HY-ÖL to dry skin and massage (do not moisten the skin beforehand), Step 2: then smooth 2 pumps of a Phytoactive on top of it and massage into skin. Using moistened fingers, massage into the skin until a milky emulsion forms. Rinse off thoroughly with plenty of cool water.